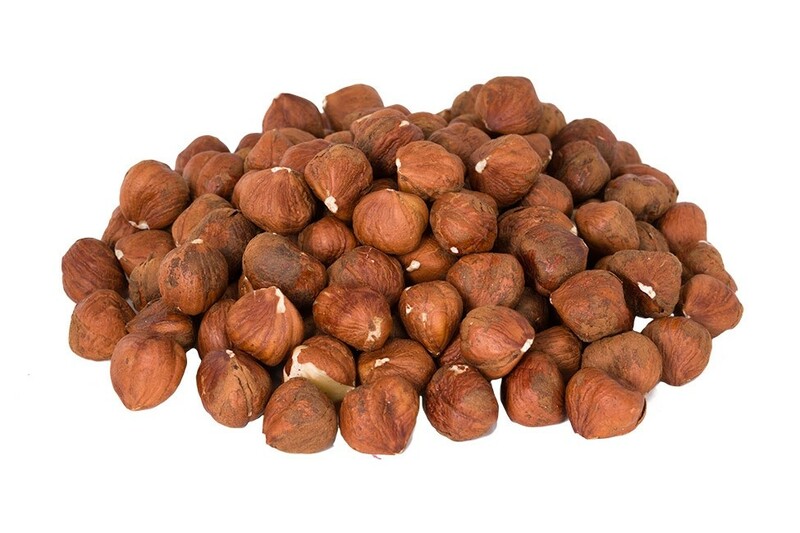 Our Hazelnuts are loaded with vitamins, minerals, and help support a healthy immune system. Snack alone or add them to your favorite cookie, or go that extra mile and make yourself a delicious hazelnut spread - the possibilities are endless with this magical nut! 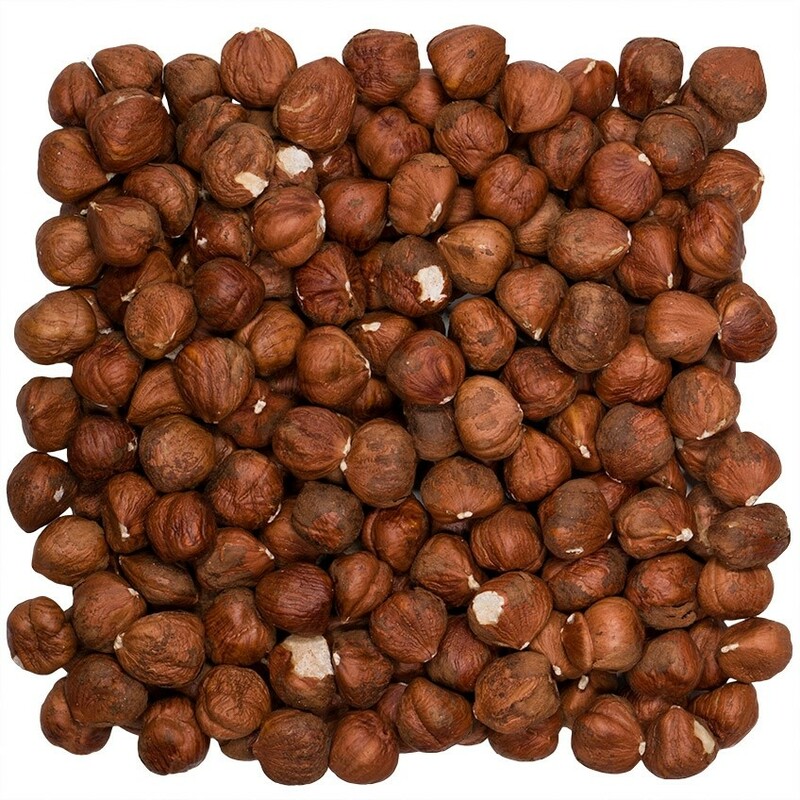 Hazelnuts are rich in dietary fiber, B-complex vitamins, Vitamin E, and a myriad of minerals. Unique to this nut is their high folate content, which helps prevent megaloblastic anemia and most importantly, neural tube defects in newborns - great news for expectant mothers! Along with almonds, hazelnuts are a gluten-free food, an important staple for the gluten intolerant and those afflicted with celiac disease. Snack alone or add them to your favorite cookie, or go that extra mile and make yourself a delicious hazelnut spread - the possibilities are endless with this magical nut! • Like this snack? Try our Macadamia Nuts! 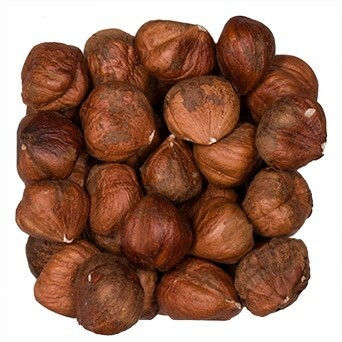 Hazelnuts are also often referred to as Filberts. These nuts are grown mainly near Turkeys Black Sea coastal area. There has been a partnership established between the US and Turkey to grow these hazelnuts right outside of the Portland area. These nuts are full of minerals as well as selenium just like the Brazil Nut. They are used in both sweet and savory dishes. SELENIUM SOURCE: Selenium is an essential trace mineral linked to our thyroid and immune function. Being selenium deficient can cause things as seizures, heart disease, rheumatoid arthritis depression, anxiety and asthma. Fortunately, selenium deficiencies are not common in the Western part of the world. HEART HEALTHY FAT: Cashews tend to be lower in fat than many other nuts. They are full of the monounsaturated fats that have all the same benefits like olive oil. Monounsaturated fats along with a healthy low-fat diet helps lower triglycerides which reduce the chances of heart disease. VITAMIN E: Next to vegetable oil, hazelnuts are the 2nd best source of Vitamin E. Consumption of 30 Grams of Hazelnuts a day meets the 100% daily requirement of Vitamin E.
When storing your hazelnuts you want to store them in a cool and dry place to prevent insect pests, as well as a longer shelf life. When the level of moisture increases it increases the sugar levels, which begins to accelerate oxidation, increasing microbial problems and decreasing the quality. The hazelnut has the reputation as one of the healthier nuts and a great source of energy with a 60.5% fat content.